Tom Piazza discusses and signs his new book "The Southern Journey of Alan Lomax: Words, Photographs, and Music." Tom Piazza , City of Refuge. Join with other people all across the city as the group One Book/One New Orleans discusses their selection for 2008, Tom Piazza's City of Refuge. Tom Piazza signs City of Refuge. Tom Piazza promotes City of Refuge. Tom Piazza discusses and signs his book City of Refuge. If you are unable to attend,you must call the book shop to order signed books. 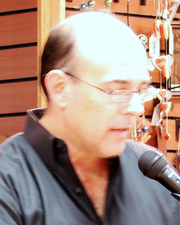 Tom Piazza is currently considered a "single author." If one or more works are by a distinct, homonymous authors, go ahead and split the author. Tom Piazza is composed of 2 names. You can examine and separate out names.